Under state law there is a difference between being charged as a volume marijuana dealer, and being charged with importation but both charges can be classified as drug trafficking offenses. The volume dealer law is basically an enhancer for the standard distribution law, and may result in much larger maximum fines, and more importantly, minimum mandatory jail sentences. In order for the state to charge a defendant with being a volume dealer he or she must have been arrested with at least 50 pounds of marijuana. The volume dealer law does not require that the defendant actually be arrested while dealing or distributing marijuana. A defendant can be charged as a volume dealer for simply possessing more than 50 pounds of marijuana or for manufacturing or dispensing more than 50 pounds. Any person that is convicted of being a volume dealer faces up to a $100,000 fine and 20 years in prison. A convicted volume dealer also faces a five year minimum mandatory prison sentence that cannot be waived or suspended by the judge. Importation of is also a trafficking offense under state law, but this crime requires that the defendant engage in the act of bringing marijuana into the state. Importation of marijuana is a more traditional drug trafficking crime, but this law has become somewhat obsolete in trafficking cases due to the more frequent use of the volume dealer law. 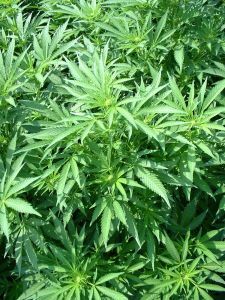 Importation of marijuana requires a prosecuting lawyer to prove that a defendant brought 45 kilograms of marijuana into the state of Maryland. Violation of this statute carries a 25 year maximum prison sentence and a $50,000 fine. If a defendant is arrested transporting between 5 and 45 kilograms of marijuana into the state, he or she faces a maximum 10 years in jail and a $10,000 fine. The drug trafficking crime of importation of marijuana can be the source of some confusion, because the 45 kilogram requirement is much greater than the 50 pound volume marijuana dealer requirement, but there is no minimum mandatory jail sentence for importation of marijuana. The trafficking crimes of importation and volume dealing can also serve as the basis for filing an additional criminal charge if the defendant is arrested during the course of drug trafficking while carrying or possessing a firearm. A person who is drug trafficking with a firearm faces a separate felony charge that carries a maximum prison sentence of 20 years, and a minimum mandatory sentence of 5 years. The minimum mandatory sentence can be doubled if the defendant possessed or carried a firearm with a silencer while engaged in a crime. The marijuana trafficking lawyers at The Herbst Firm defend all types of marijuana charges, including importation and volume dealing. The firm also represents marijuana distribution cases and firearm possession cases that arise out of a drug trafficking arrest. If you have been arrested or are being investigated for a drug crime contact The Herbst Firm for a free consultation.